His previous post was as chaplain at St Martin ’s College and Assistant Priest of St Mary’s Church, Ambleside with Brathay, and he was team vicar of Bingley (based at St Lawrence's, Eldwick) between 1995 and 2002. Before that he had served his second curacy at St Mark's, Utley. He says, "I have loved being chaplain at St Martin 's, but it now feels right to return to parish ministry. Alternative worship is something that I've been very involved in in Ambleside and so one of the particular things that attracts me to St John's is their focus on creativity in worship". In his spare time Peter is hoping to work on some novels he is writing - adventure novels for teenagers. 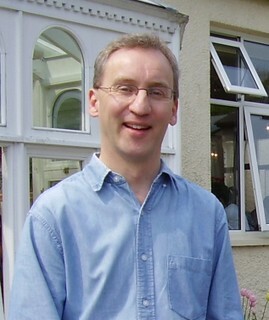 Peter's original degree was in computer science and economics after which he worked as an Administrator/Advice Worker with the Citizens' Advice Bureau in Wakefield . He trained for the ministry at St John's College , Durham and served his first curacy in Bradley in the Diocese of Wakefield. St John's now has an Associate Priest - Jan Copsey who works all day Tuesday and Wednesday and Friday morning as well as Sunday morning. She can be contacted via the Church Office or by email at jan@benrhydding.org.uk We also have two Readers - Sylvia Walker who you can email at sylvia@benrhydding.org.uk and Dawn Jenkins who can be contacted via the Church Office. St John's has 2 Churchwardens - Caroline Elston and Jonathan Wearing who can be contacted through the Church Office.